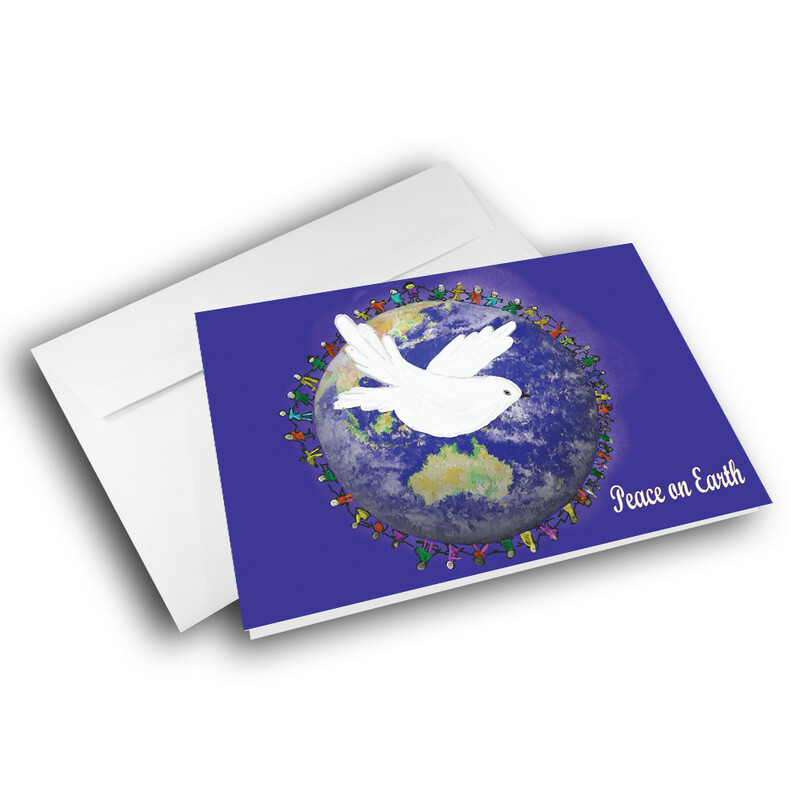 Send a wonderful, warm, holiday message with this artistic, peace on earth holiday card. 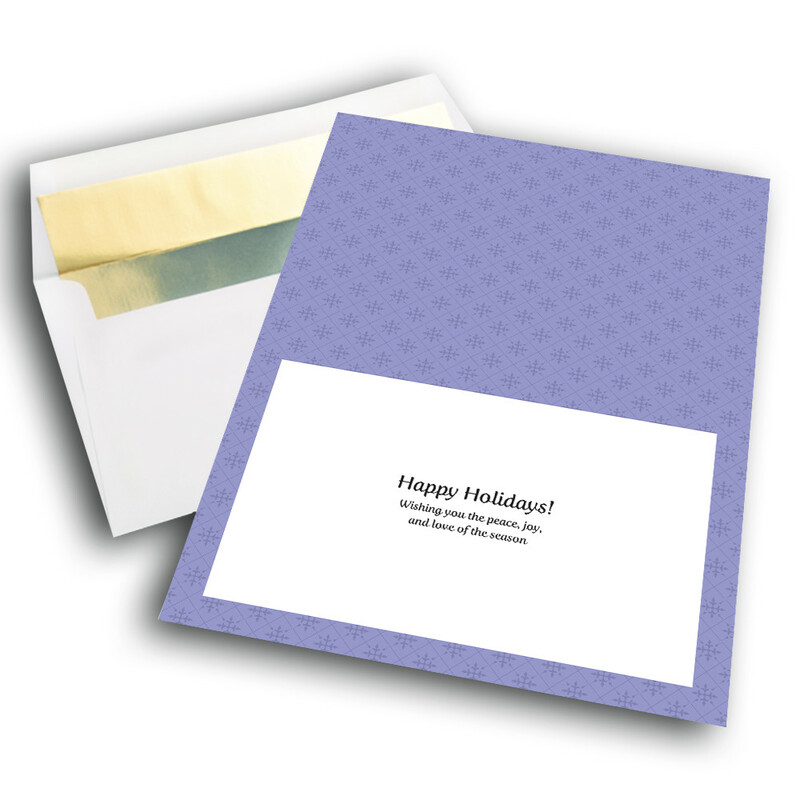 The fine art of this greeting card makes this a perfect office holiday card, and a perfect personal holiday card as well. 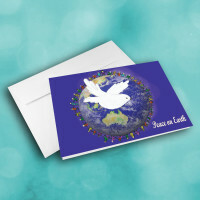 The bright blue front is the backdrop for the earth, with all the world's people linking hands in peace. 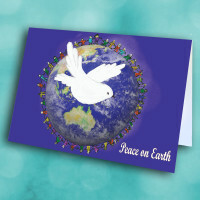 A white dove flys across the scene. The light-blue, patterned interior contains the warm message. 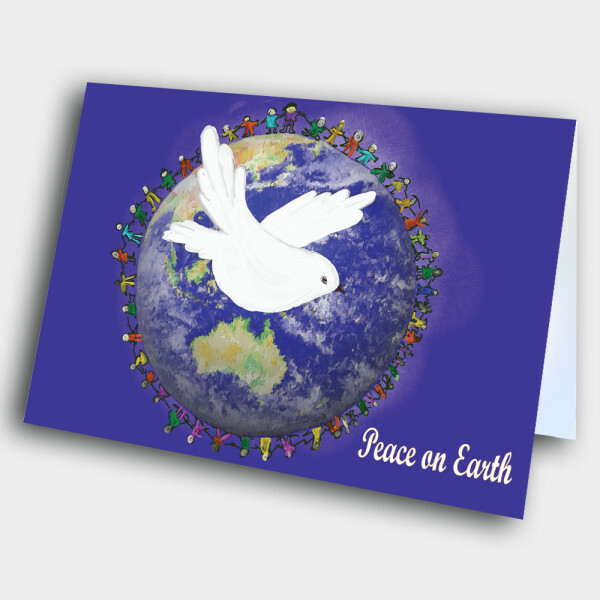 Personalize this message to make the card more unique and meaningful.